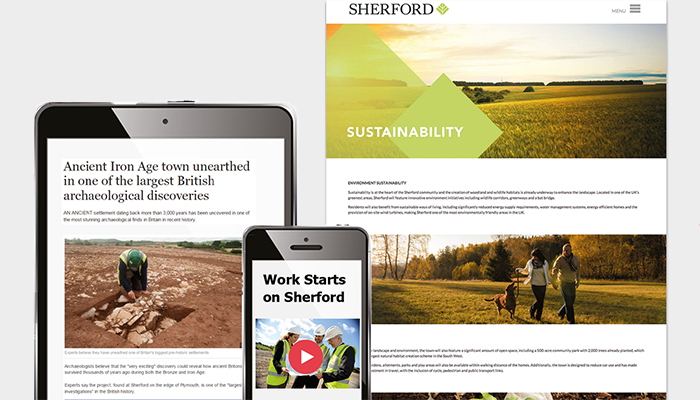 After winning a competitive pitch to handle PR and web creation work for the development of a new town in Devon, we have worked on behalf of the Sherford Consortium – a partnership between Bovis Homes, Linden Homes and Taylor Wimpey – to create a buzz around Sherford, prior and during the community being built. We maintained the promotion of Sherford, its values and progression, positively for the Consortium as well as increasing the focus on infrastructure, community and commercial facilities, now residential sales have begun. We have been utilising PR to promote the housing to support sales, including activity with new residents and organising events. Additionally, we are continuing to manage communications around the strategic review, working with the Consortium and Operations team to sensitively handle. The website is regularly updated with news stories and blogs and we continue to design, write and issue a bi-monthly newsletter. The PR, marketing and web functions have worked seamlessly, with each supporting the other. With little day-to-day managing, Formedia have got on with the job at hand, met the brief and more – and provided the support the Sherford Consortium needed to put this new community on the map. From building up web content, ensuring locals receive regular updates, keeping stakeholders briefed, designing marketing collateral, creating the Sherford map, luring media to the site, issuing press releases, launching campaigns, drafting blogs, handling incoming queries, organising speaker opportunities, photo calls and events… it has been an action-packed year with a consistent flow of activity. 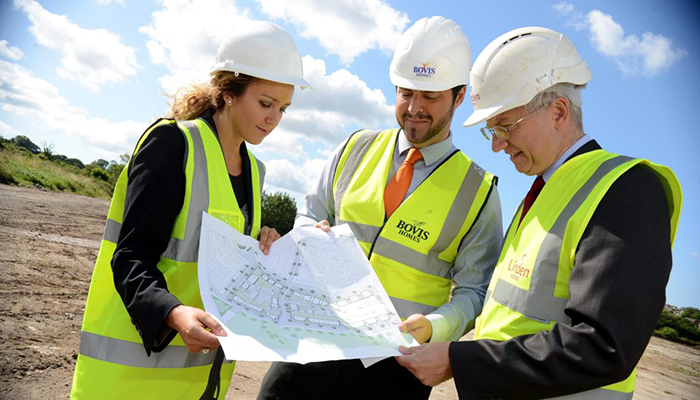 In addition to supporting the developers’ marketing teams, we also work with the operations team to provide guidance on a range of more technical construction matters at Sherford. From infrastructure and highways, to planning applications and public consultations, we provide PR support to handle sensitive issues calmly and effectively. Spanning media relations, council liaison, resident communications, public engagement events and more; we grasp technical topics quickly, provide the right guidance to senior management, and run a busy programme of communications activity to support one of the biggest construction projects Devon has ever seen. “Formedia has been essential in positioning Sherford as more than just a new housing development, but as a community – particularly during the early stages of construction when there wasn’t much to see! 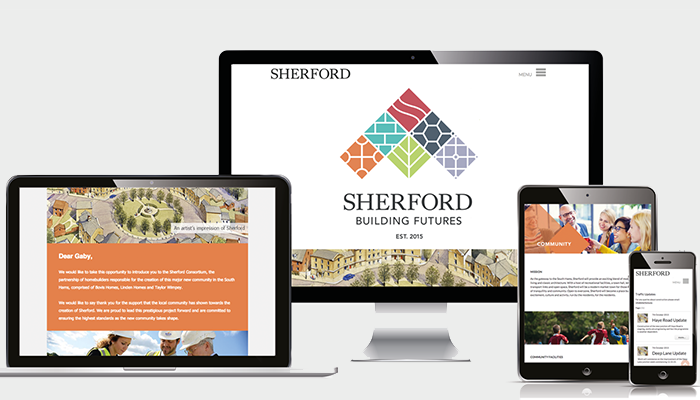 Many of our first residents first heard about Sherford as a result of the work by the Formedia team, who have consistently used their creativity to raise awareness of Sherford as a desirable place to live and work, whilst supporting the business objectives of three national homebuilders.